At Mumbai Smiles, we always ensure our preschool children actively participate in extra-curricular activities and events such as festivals, days of national importance, sports day and drawing competitions. 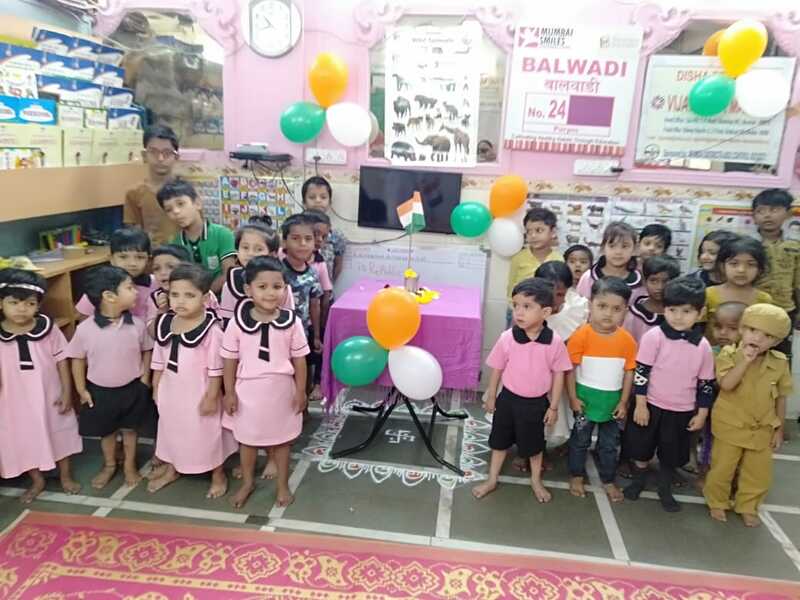 Every year, Republic Day is an important event for our preschool centres. Communities in and around preschools participate in various programs organised by project staff – program manager, field co-coordinators and teachers. 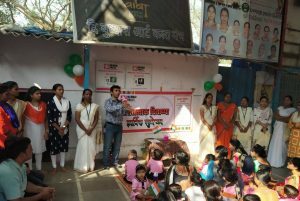 350 children and their parents were involved in the celebrations. Chocolates and snacks were distributed. 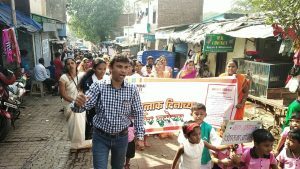 Rallies on child rights, led by children, parents and project team members, were organized in the community. 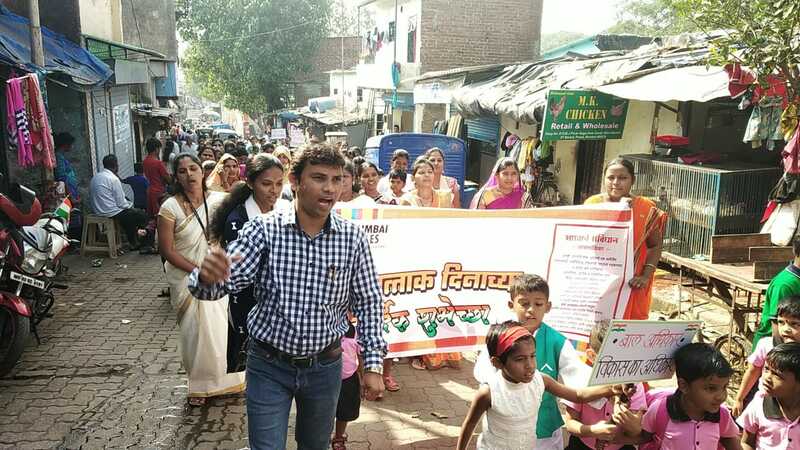 Posters, placards and banners were used during the rally to promote child rights chartered basis our Constitution. With this as the foundation, Mumbai Smiles works towards changing the behaviour, attitudes and value systems of the slums we work in – so that tomorrow we can see a day where Mumbai is devoid of trouble makers and illegal elements of society. Hence the education starts at an early age – because if they are taught right, they grow up to become responsible. Our work for Mumbai and its people is beautifully captured when communities unite in togetherness and express love for each other and their loved ones.